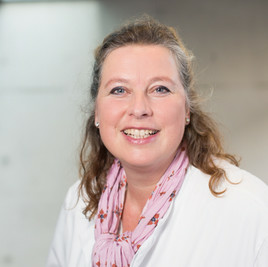 Prof. Beate Timmermann is the Director of the Particle Therapy Clinic and is the Head of Medicine at the West German Proton Therapy Centre in Essen (WPE), at Essen University Hospital. 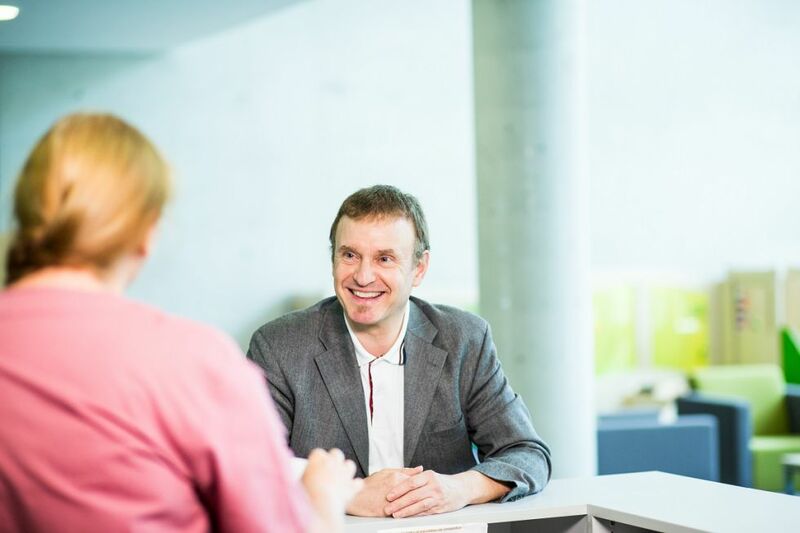 As a specialist in radiotherapy and radio-oncology with many years of experience in the field of applied proton therapy, Prof. Timmermann predominantly specialises in the treatment of tumour conditions by means of protons. Here, above all, tumours in sensitive areas of the human body, which are inoperable or can only be operated on with great difficulty, are a particular treatment focus of Prof. Timmermann and her team. 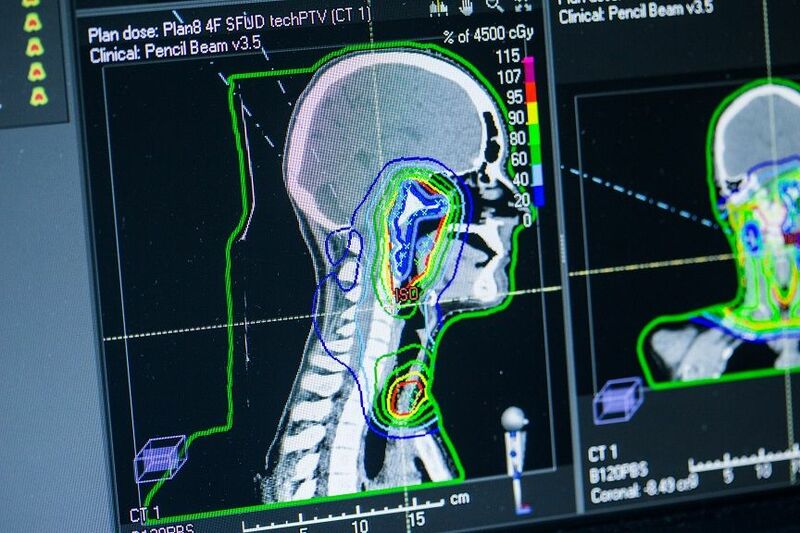 Hence, primarily tumours of the eye, of the brain, of the spinal column and of the pelvis are treated by means of proton therapy at the West German Proton Therapy Centre in Essen under the leadership of Prof. Timmermann. In addition, Prof. Timmerman and her team also treat prostatic cancer conditions (prostatic carcinomata) and tumours of the nasopharyngeal space (nasopharyngeal carcinomata). In addition, a further focus of the West German Proton Therapy Centre in Essen is the irradiation of tumours in childhood. Proton therapy has potential advantages, above all for children, since children's sensitive tissues, still in development, are exposed to a lower radiation level and the risk of radiation-induced side-effects can therefore be reduced. The West German Proton Therapy Centre in Essen (WP) is one of the leading establishments for radiotherapy using protons in Germany and one of the most advanced proton therapy centres in the world. The medical team at the Particle Therapy Clinic and at the WPE consists of highly qualified specialists and highly specialised medico-technical radiology assistants (MTRAs) and medical physicists, who have great experience and expertise in the field of radiotherapy and who plan and perform proton therapy individually for each patient. The team is completed by further experienced trained assistants, including doctor’s assistants, case managers and study assistants. 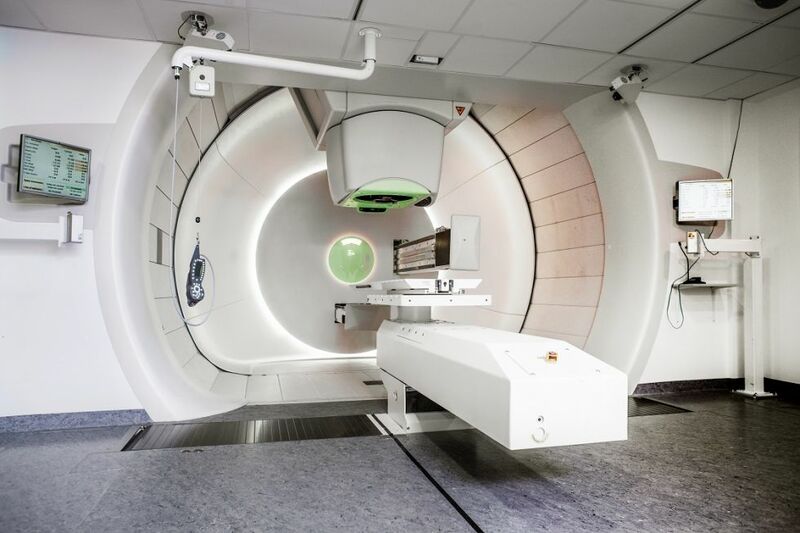 The Particle Therapy Clinic and the West German Proton Therapy Centre collaborate closely with the other hospitals and institutes of the Essen University Hospital in order to be able to provide the patients with comprehensive care of the highest medical standard. 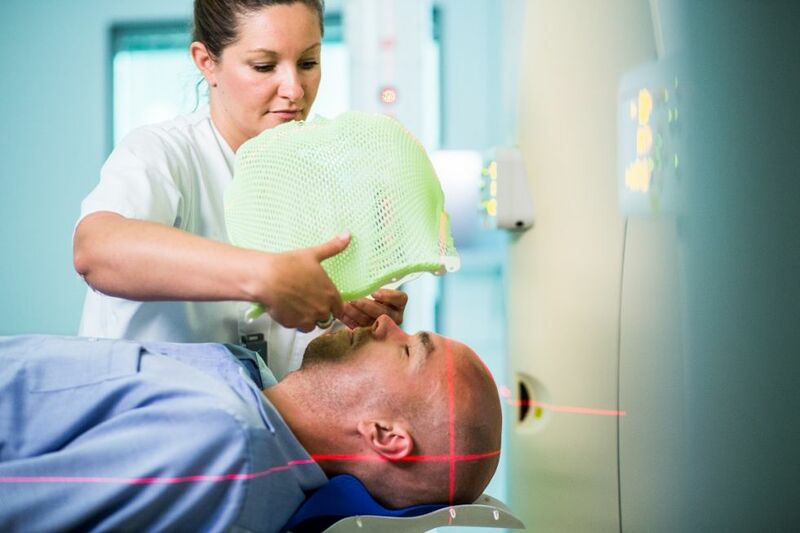 Here, patients with cancer conditions benefit in particular from the fact that the Particle Therapy Clinic is embedded in the West German Tumour Centre (WTZ), the largest specialist oncology centre in Germany. 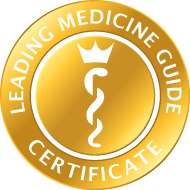 The Case Management Team is the contact point for patients, relatives and referring doctors. An employee is allocated to each patient. All required documents are collected together and these are then quickly read by a doctor in order that rapid feedback as to the treatment options at the WPE can be given. The Case Management Team also supports the organisation of any accommodation which may be required. As well, the Case Management Team provides a cost estimation of the proton therapy. For Patients of the European Union with a public health insurance: their insurances might cover the costs of the treatment. For that we need a S2/E112-Document issued by their insurance. We will help patients to clarify the absorption of costs with the medical insurance companies. All of our employees are able to communicate with patients in English. 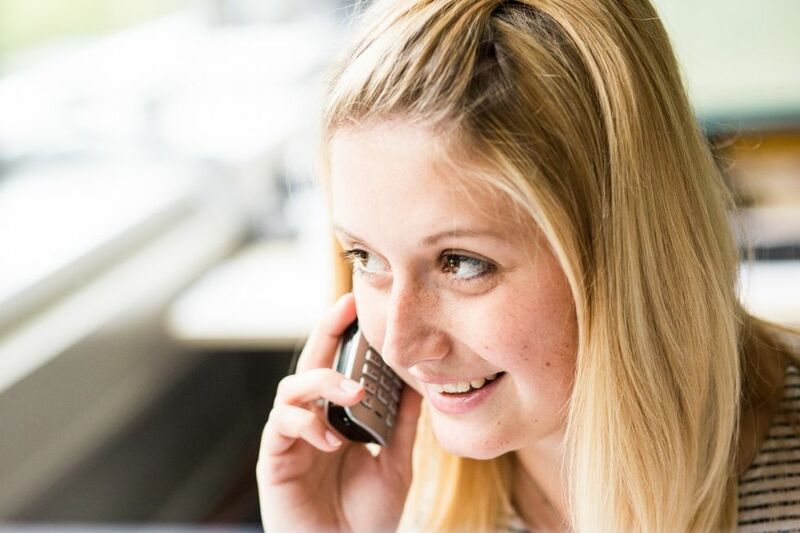 An interpreting service is also available at any time for other languages. Out-patient treatment is given in a state-of-the-art building. The WPE has 4 treatment rooms; 3 rooms are each equipped with a gantry which can rotate through 360 degrees and one room is a fixed-beam room. There is also close interdisciplinary collaboration with the various clinics of the Essen University Hospital. Acute in-patient accommodation in the various clinics can be arranged, should this become necessary. As well, necessary parallel chemotherapy can be performed at Essen University Hospital, should your local hospital be too far away. Children are also seen each week by a paediatric oncologist from the Paediatric Clinic. We also offer psychosocial support for our youngest patients: a social education worker who will relieve the children’s and their relatives’ fear of the treatment procedure and who will prepare the children age-appropriately for the proton irradiation.